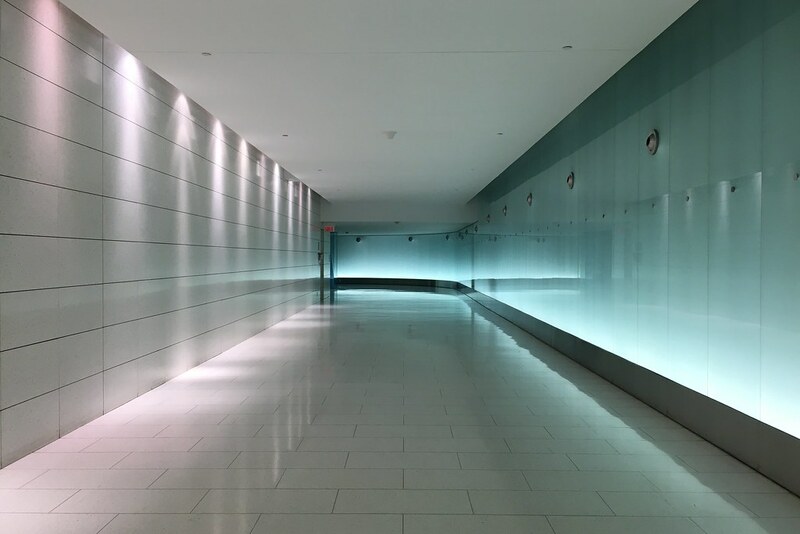 This is one of the innumerable corridors making up Montreal’s so-called underground city. Whether it’s to avoid bone-chilling cold in the winter or face-melting heat in the summer, this maze of connections allows one to walk all over the city’s downtown in sheltered comfort. With its judicious use of building materials and accent lighting, this specimen definitely falls into the art world, in my opinion, while others are a tad more utilitarian or commercial in nature.